EasySMX Network Technology is an innovative technology company established in 2012. They are headquartered in Shenzhen, a fast-growing high tech city of China. As from 2014, they started to focus on gaming peripherals and accessories with an ambition of selling high-quality gaming accessories every gamer can afford and rely on. 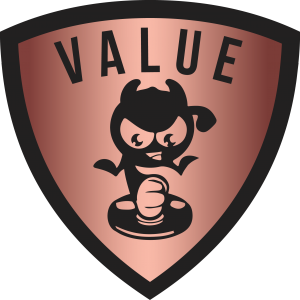 Their products have been selling on Amazon in U.S. UK, Germany, France, Spain, Italy, and Japan and get high appraisal from customers. 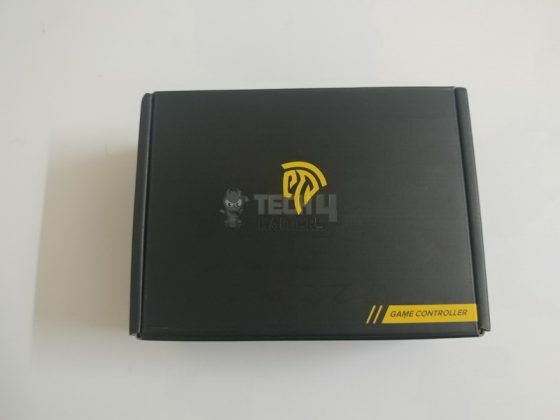 Requires OTG support and OTG connector for Android connectivity. Android version should be or greater than 4.0. 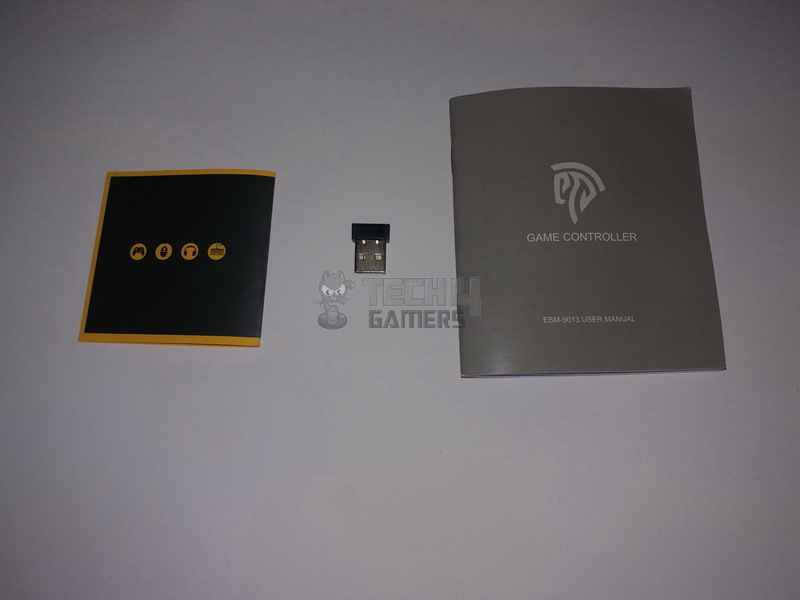 The EasySMX ESM-9013 Wireless Gaming Controller comes inside a decent black colored box made of cardboard. The controller has firmly tucked inside a carved tray and there are accessories beneath it. There is no exception that EasySMX has a mission and impression to provide cost-effective products. But they haven’t compromised over build quality. The EasySMX ESM-9013 Wireless Gaming Controller has a very sturdy design and a shape carved for handhold relief. The buttons layout and orientation are as same as a traditional Xbox 360 Controller but the grips are a quality add up to the typical Xbox 360 design. There are blue borders along the grip patch which evaluates the design to stand out the most. 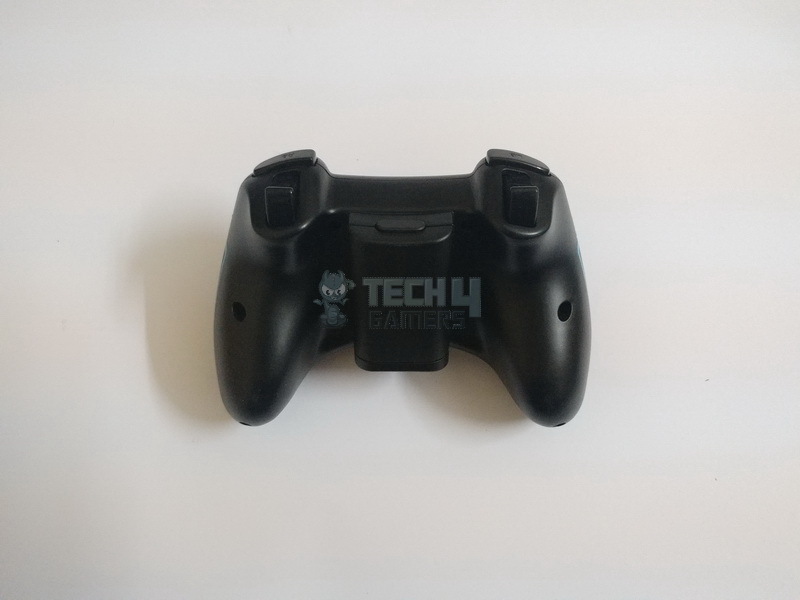 There are 3 big major differences that are either an overhaul to a typical Xbox 360 Controller or just missing to be there for a major purpose. One is the central logo buttons placed between the back and start button. 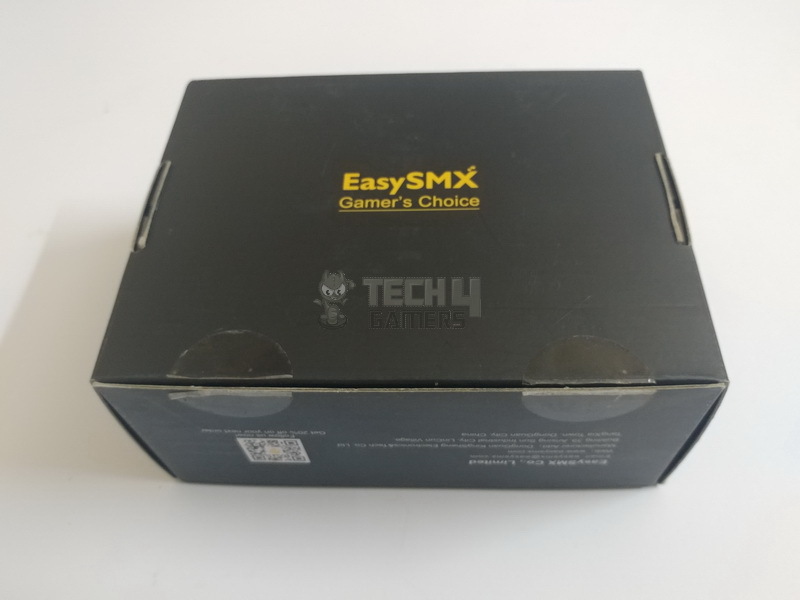 Which has EasySMX Logo on it. The 2nd thing is the rechargeable battery pack support unavailability which lacks the rechargeable option as a whole. The third difference is a charging port which has nothing to do with on it as the rechargeable factor has been driven out completely. 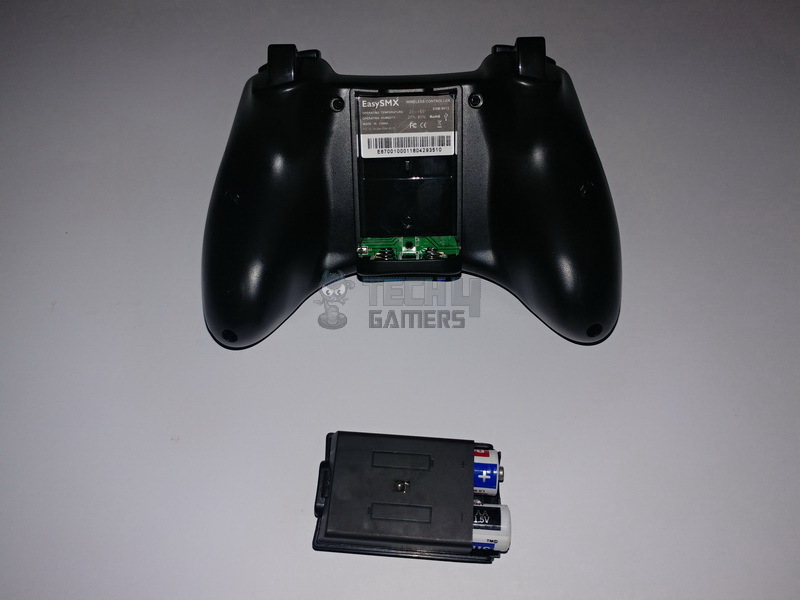 There is a removable battery slot which has a room for two AA batteries same as Xbox 360’s Wireless Controller. There is a mechanical button to eject the battery slot out and cut the power immediately. 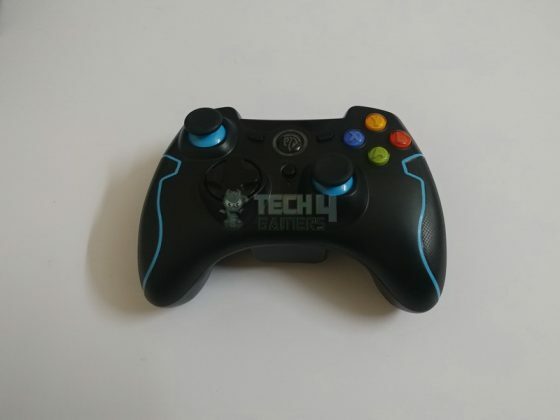 The analogs (Thumb sticks) have a blue colored plastic base which takes part in representing color scheme you selected. There is another color combination that is red which comes according to the theme which you can prefer if you want it all red! The top part of the stick has a rubber grip which doesn’t let stick to slip under lubricated conditions. The sticks are pressable for an extra key count which lies under the stick shelter. The right side of buttons layout is same labeled as an Xbox traditional order and alphabets with exactly the same color code. There are two bumper keys on the fore-side and there two triggers with responsive press actions below the bumper keys. Manipulating the whole button layout, the grip, the curves and fingertip ease, the design is quite adequate. 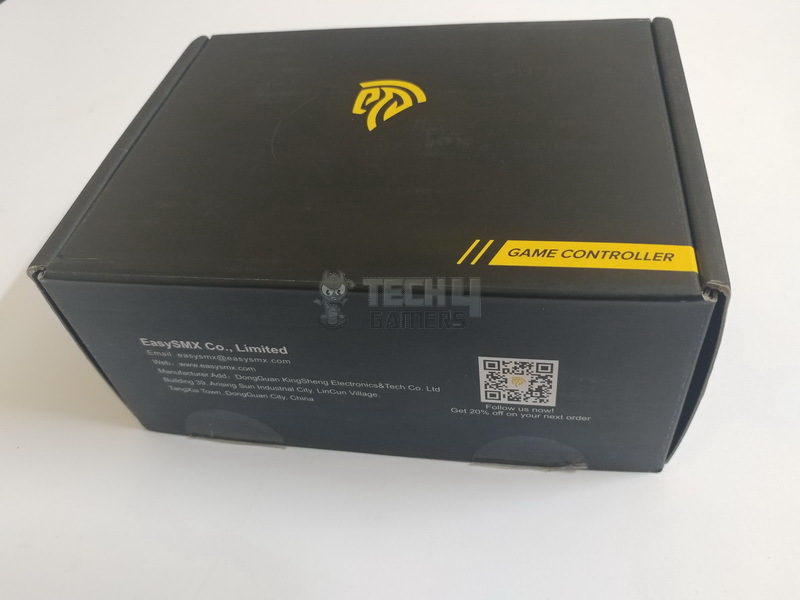 There are 3 connection modes of EasySMX ESM-9013 Wireless Gaming Controller. Each mode is simply switchable by pressing and hold the center logo button for couple of seconds and let the mode cycle until you get you desired one. 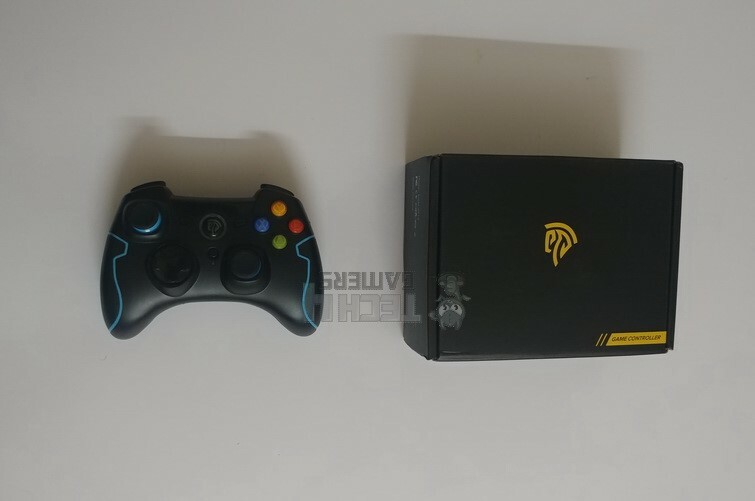 There is a 2.4Ghz dongle as a receiver that lets the controller to directly connect to the device having that dongle plugged into it. The response rate (Latency) of EasySMX ESM-9013 Wireless Gaming Controller is as quick as a typical Xbox 360 wireless controller. The haptic feedback is as powerful and tougher as it should be. The connection time required to pair it with any device is real quick. I used it to play Batman Arkham Knight which is quite a rush game for rapid response by the controller and the player and I never got disappointed while using the EasySMX ESM-9013 Wireless Controller during fast action gameplay. Had a great personal experience with its performance! 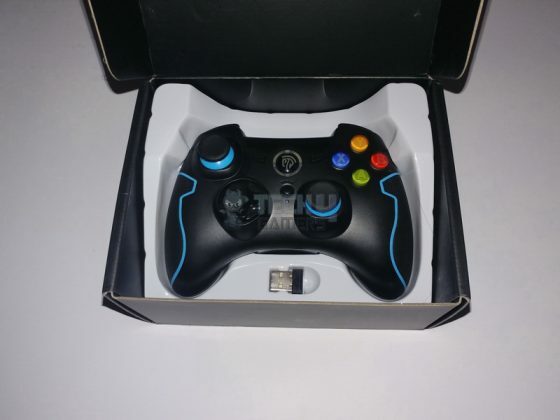 Although the whole controller is worth over a price its available in. 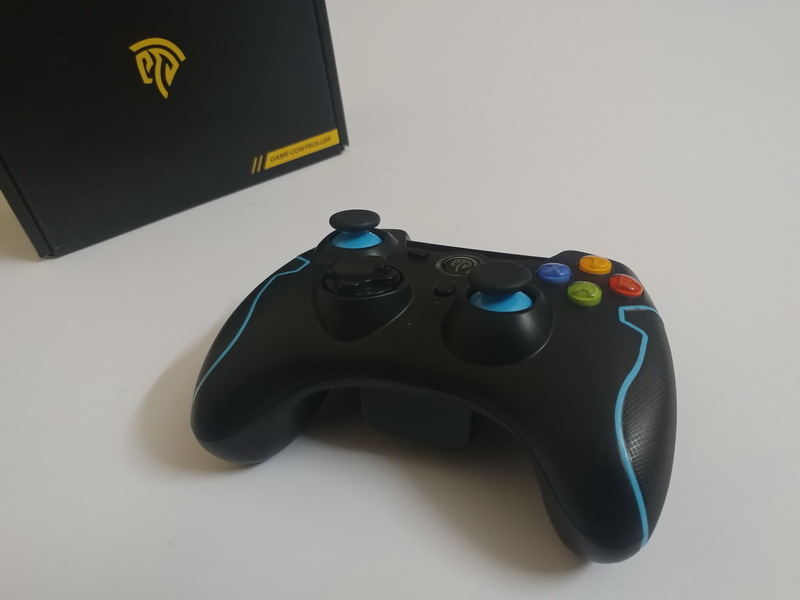 There might be better controllers than this but for a frame of content, we managed to review at this time, The EasySMX ESM-9013 Wireless Gaming Controller seems quite accurate for us to say that it is totally worth it! The analogs work fluently on their designated levels and parameters. Buttons are smooth to press and hold. Dpad is good enough to be used to navigate as well. The price is good enough to prefer it for a wireless couch gaming experience even if you have a PC! Previous articleUsers with Radeon RX Vega using RayTracing in Battlefield 5?